Deadbolts & Knob Locks - Reed's Locks and Access Control Systems, Inc.
Deadbolts are a vital component to securing your home. Numerous factors determine the deadbolt best suited to your needs, and ensure compliance with municipal statutes. Quality lock hardware adds value and security to your home, while enhancing the aesthetics with a wide array of décor styles and finishes. Did you know that any lock is only as good as the installation? Our experienced pros have the know-how and experience to guide you thru the process and then professionally install your gorgeous new hardware. If you have one of our ITI Concord alarm systems installed in your home, or plan to have us install your alarm system (and why wouldn’t you? 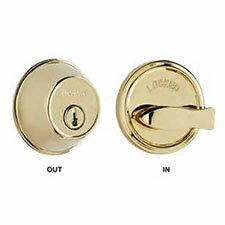 ), also consider deadbolt locks that integrate into the alarm system. This allows remote lock & unlock via your smart phone, tablet or PC—a great convenience for busy families. 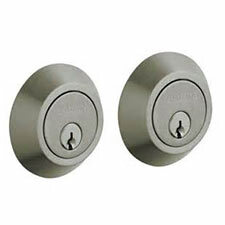 Deadbolts are available in many décor-enhancing styles and finishes to complement knob and handle designs. This allows security combined with beauty for your home. Many locks can be locked & unlocked using a key, pushbutton touch screen. FYI! Having deadbolts and/or an alarm system installed in your home may reduce your homeowner’s insurance premiums. Consult your agent. These deadbolts are locked/unlocked with a key from either side of the door. This type of deadbolt offers a better degree of security for doors with glass in or around. When locked, a would-be intruder cannot open this deadbolt without a key. Smashing the glass will not allow the burglar to reach in and unlock the lock. In some areas, local statutes prohibit double cylinder deadbolts on some egress doors, due to emergency exit concerns (building codes apply). A single cylinder deadbolt is locked and unlocked from the outside of the door with a key, but the inside of the door has a thumb turn to do the same. This type deadbolt works well when no glass is in or around the door in which it is installed. When locked, it also allows egress without a key. and/or come to our showroom to see more options!